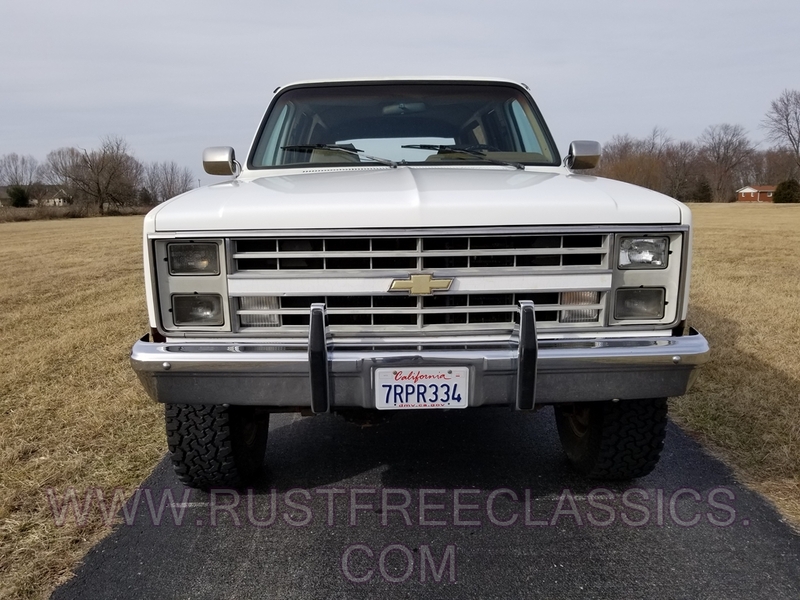 1987 Chevy Suburban V20 3/4ton 4x4. 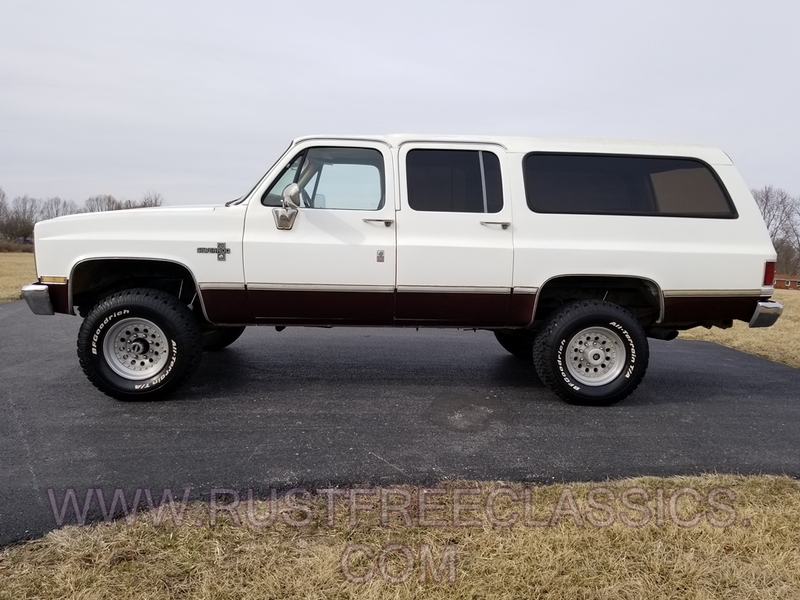 This Suburban is rustfree from California. It is a fully loaded, Top-of-the-Line Silverado model. It has a rebuilt 350 with .030 over pistons, and a firm shifting rebuilt TH400 automatic. 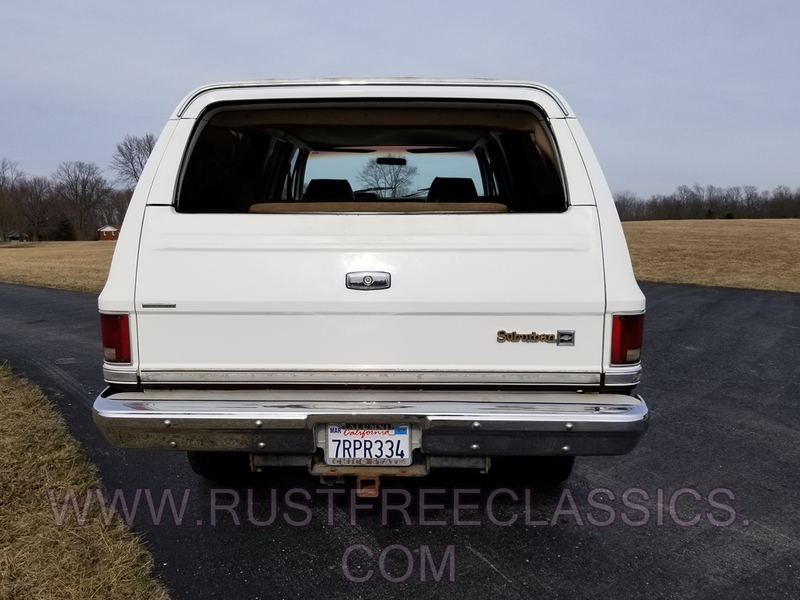 Other options include A/C, Cruise, Tilt, PW, PDL, Bucket Seats, Class III hitch, Quad Front Shocks, skid plates, and 4.10 axle ratios, with a limited slip in the rear. 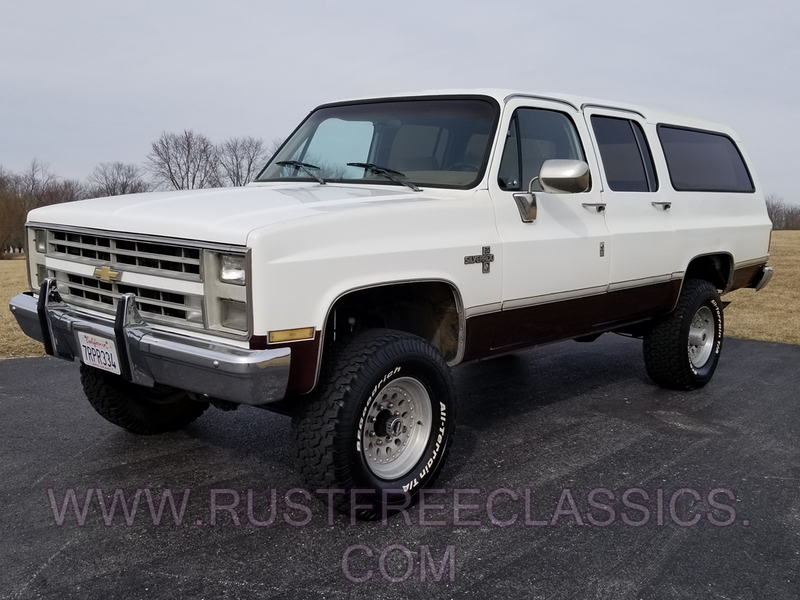 it has a 4" professional lift with 33" BFG's that are in excellent condition. The suspension is tight, and the brakes stop good. It has nice sounding FlowMaster exhaust. 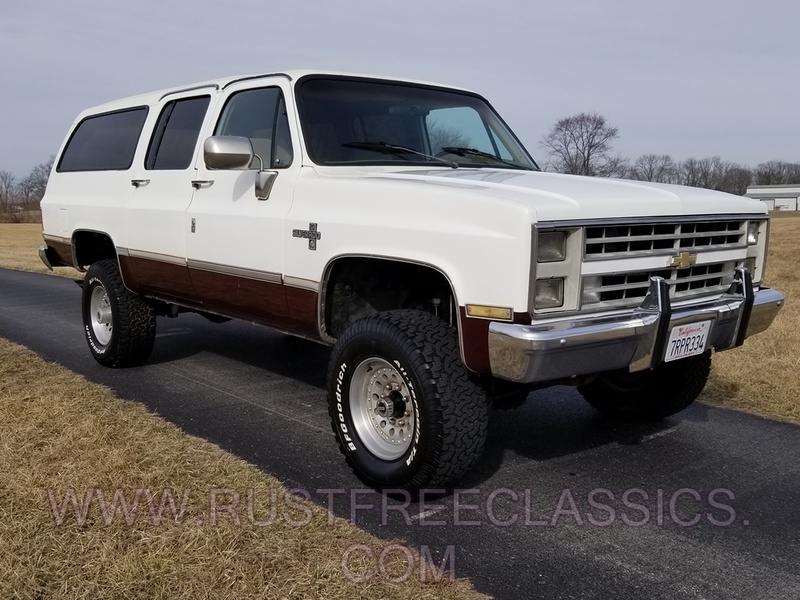 This heavy duty 3/4 ton Suburban sits up nice and proud, and drives real nice. The interior is clean for it's age, with only a little bit of soiling showing in the carpet. It also has 3rd row seating. 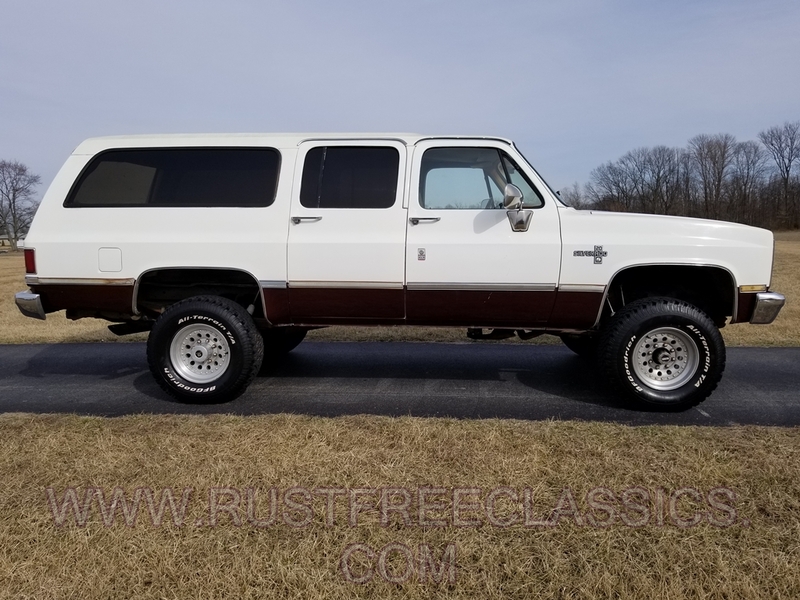 This is a nice no excuses heavy duty fully loaded Suburban that I wouldn't be afraid to hop in and drive it cross country.